Your competitors are using social media platforms like blogs, Twitter, and Facebook to reach their customers in order to grow their businesses and profits-are you? With Social Media 101, you can quickly bring your business up to speed on the most effective social media marketing strategies. 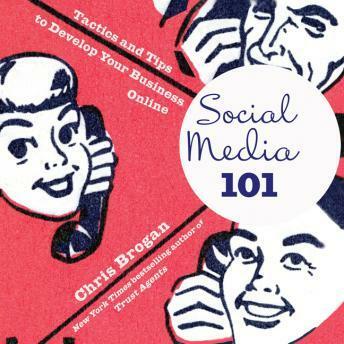 In this one-stop guide based on years of research, longtime blogger and bestselling author Chris Brogan compiles all the tactics and tools you need to get up and running with social media while avoiding the pitfalls. You'll learn how to cultivate profitable online relationships, develop your brand, and drive meaningful business. Brogan shows you how to build an effective blog or website for your business, monitor your online reputation and what people are saying about your business online, and create new content to share with your customers. If you aren't using the Internet and social media to market your business and stay in touch with your customers, you're already falling behind. The Social Media 100 gives you 100 effective, proven strategies you need to succeed.